At this point, there's no denying the force that is Meghan Markle—particularly when it relates to the internet. It seems as though every day a new press release or outfit or quote or tidbit of detail surfaces that satiates everyone's (justifiable) Markle obsession. Riding that wave, we thought it might be a fun "project" to investigate what the most popular images of the Duchess of Sussex actually are. We took to our photo agencies to research which images out of 21,000 have been downloaded the most, and the results are, as expected, stunning. 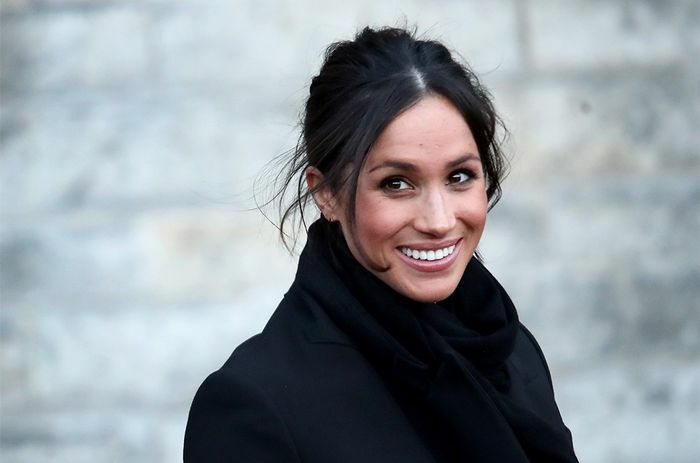 Scroll down to see the top eight most popular images of Meghan Markle, and once you're done head over to shop 19 things she would buy from Zara to get her aesthetic at a wallet-friendly price point. Meghan Markle at Cardiff Castle in Wales wearing a sleek black coat. Meghan Markle leaves the Today Show in a button-down dress and cheetah-print pumps. Meghan and Harry after their wedding ceremony. Meghan Markle's royal wedding portrait. Meghan Markle and Prince Harry announce their engagement at Kensington Palace. Meghan Markle and Prince Harry's official engagement photos. Inspired? Head over to see Meghan Markle's best style moments.